Tag Archive | "Federal Loans"
The following is a guest article submitted by Carl Letamendi. He is a PhD student of Conflict Analysis and Resolution with a concentration in Crisis Management at Nova Southeastern University and also holds an MBA in Finance. I made a prediction about a year ago that things were going to change in the student loan and education industry; based on being a student myself, having recently worked in financial aid and institutional collections, and also in enrollment service. I knew that there were many people out there, taking advantage of current loan programs, who only went to school for the refund generated to them each term as a means of earning an extra income, and some academic institutions were behind them encouraging enrollment based on the amount of refund money from student loans they were going to get. I knew that this would soon come to an end and that congress would catch on; and they did. There is big news brewing behind the scene that seems to be getting swept under the rug. Effective July 2012, graduate students will no longer be able to get the much coveted Federal Subsidized Loan, which accrues no interest for the student until they are no longer enrolled in school. Although this is of no immediate impact to undergraduate students, those who are in Medical School, Law School, Graduate Business Programs, and any other graduate programs, should be very aware of what is going to happen in the next few years to come. 1) For profit, minimally endowed, and tuition-driven schools will start to close their doors. Over the past few years, we have seen people with mortgages that caved in on themselves that put people under water as well as insurance and financial institutions failing. My prediction is that schools are up next. The notion of the “survival of the fittest” doesn’t just apply to animals and banks as we have recently seen, but we will also soon see it happen with academic institutions. 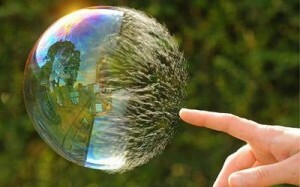 Schools with strong finances, that have made wise investments in the past, and that have a strong network of alumni contributing to their university’s endowment, will survive the gradual deflation of our next bubble (notice I didn’t say “burst”). With schools closing, this also means losses of jobs for those who were working in these for-profit and minimally endowed schools. 2) Fewer graduate students will be able to afford going to school. One of the motivating factors for a student deciding which school they will be attending is the amount of aid they are going to be receiving. If a student has to pay for tuition, or if they are going to be receiving a less favorable financial aid award package, they are less likely to attend that school. Students don’t usually cough up thousands of dollars out of pocket for tuition per term; they rely on scholarships and loans. If there is no money for school, students will probably not be able to afford it; especially if these students are unemployed, and optimistic about graduate school making them more competitive in the job market. 3) Students will reconsider the value of their graduate education. There are a lot of television programs and articles in magazines questioning the value of higher education all together; and showing the incomes of very wealthy non-degree holders. One thing that I advise people who speak parallel to the objective of these articles and shows is that we are in a different time now than at the time when these millionaires became rich. They were innovative, they had ideas, they found niches in the market and societal needs, and met those needs by introducing something new to the world. You can still be innovative while getting an education, but the weight of a high-school diploma in the 60s and 70s is much different than the weight of a high-school diploma in our day and age. 4) Admission decisions will be greatly affected. Universities usually boast on having a diversified pool of students from various states. With universities offering reduced rates to in-state students, and in some states also offering students state grants ,why would a student attend a much more expensive university outside of their state of residence, and end up paying more money and incurring more expenses? The dynamic will change, and universities need to figure out how to invest in external talent if they want to continue to get out-of-state students. 5) Higher interest rates. 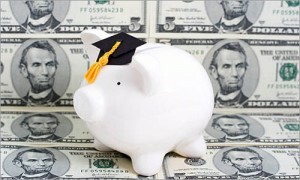 Graduate students who do elect to continue to pull loans after July 2012 will only be able to pull the unsubsidized loan. There will still be a good number of students who are unable to repay their student loans, and interest will still be accruing. This means an increase in student loan defaults. The way to ensure that at least some of the money is recovered is regrettably, by increasing rates to other borrowers, a practice that is not estranged to us who know the credit and lending world. 6) Educational grants will be reduced for subsequent students. I predict that graduate students who will be entirely affected by this, those of the 2014-2016 class, will be less likely to contribute to their university’s endowment – a pool of funds usually used to issue scholarship and institutional grants to students. 7) Reduction of the subsidized loan for undergrads may be out in the horizon. I believe that this change will undoubtedly filter out students who are only in school for the extra refund money generated as a result of their loan disbursements. The success of this change, may also impact undergraduate students in the years to come. Private Education Loans Better Than Parent PLUS Option? 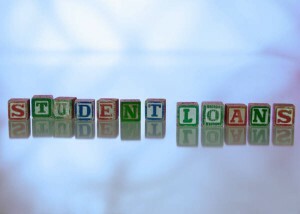 Overture Technologies is a leading provider of private student loan options for students and families. Through their Private Student Loan Marketplace, they give students the power of choice by allowing them to compare the terms and rates of multiple education lenders all in one convenient location. In a way, Overture has become the “one-stop-shop” for private education loans. Last month, Overture announced that families/students received an average interest rate of 6.12% for loans selected through its Private Student Loan Marketplace in 2010. Given this interest rate, a number of families may be wondering if the private education loan trumps the benefits of the Parent PLUS loan considering it carries a fixed rate of 7.9%. My quick response would be “no”, but my qualified answer would be “it depends”. The only benefit I can see to choosing a private education loan program over the Parent PLUS is the current interest rate. However, you have to keep in mind that in almost all cases, the private loan interest rate is variable and it could very easily jump into double digits and surpass the fixed rate provided by the Parent PLUS program. That being said, if you have exhausted all of your federal loan options (Student and Parent PLUS Direct Loans), a private education loan may be your only choice to covering your education expenses. And, if you have to go the route of a private education loan, you should definitely make use of all the tools and resources provided through Overture’s Student Loan Marketplace. There is certainly some value to be gained (& dollars to be saved) by comparing APR, interest rate, total cost, monthly payment, borrower benefits, fees and repayment options all in one place before pulling the trigger and choosing the best private education loan for your situation. 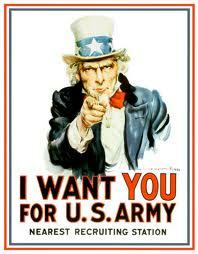 The Selective Service Act was initially put into place back in 1917. Basically, it gave the power/authority to the president to enlist males between the ages of 21 and 45 for military service. It became commonly known as “The Draft”. Over the years, the SSA changed in how it was implemented and the age restrictions were narrowed but for now it is a rite of passage for every 18 year old male in the U.S. that is completing the FAFSA. It may seem a little odd or out-of-place, but if you are a male between the ages of 18 and 25 and you plan on going to college and want benefit of any money provided to you by means of the FAFSA, you first have to register for selective service. Also, as a cautionary word of warning for older first-time students, if you reach the age of 26 and never file for selective service, you can permanently put at risk your eligibility to receive federal student loans and/or grants. Registering for the selective service has been streamlined to help aid young individuals perform the required process in a quicker more efficient manner. All you have to do is visit this website, fill out the 11 boxes on the form and hit the submit button. It really is that easy! Who Must Register With Selective Service? Some non-citizens are required to register. Others are not. Noncitizens who are not required to register with Selective Service include men who are in the U.S. on student or visitor visas, and men who are part of a diplomatic or trade mission and their families. Disabled men who live at home must register with Selective Service if they can reasonably leave their homes and move about independently. Who Is NOT Required To Register With Selective Service? Young men in hospitals, mental institutions or prisons do not have to register while they are committed (however, if they are released prior to their 26th birthday, they have to register). Young men serving in the military on full-time active duty do not have to register. 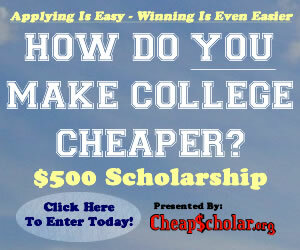 Students attending military service academies do not have to register. 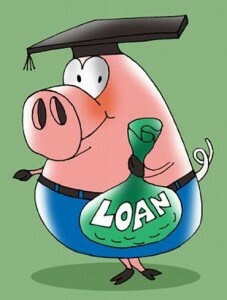 As we continue our year end round-up series I thought that education loans would be a good topic to highlight. Education loans (federal and private) are an important tool that many families and students utilize to gain access to a college education when all other resources have been exhausted. 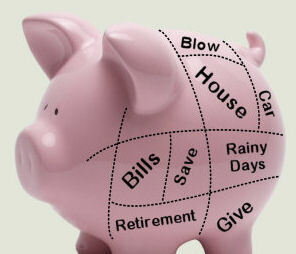 The following is a list reflecting a few of my favorite education loan articles posted on CheapScholar.org this last year. Enjoy!